Having the STI tires and wheels on our RZR XP 1000 allowed it to stay right with the new RZR Turbo. We have accused UTV owners of choosing larger tires because they look cool rather than selecting the tire size that will work best with the machine. So here we are, installing STI’s Sand Drifter tires and HD9 Comp Lock Wide wheels that are both taller and wider than stock tires and stock wheels on the RZR XP 1000. In this case, when we were heading to the seemingly endless sandbox, fondly referred to as Glamis, where there is no such thing as too much flotation or too much traction. We must admit that the beefy tire combo made our XP 1000 look bad to the bone, but, more importantly, it worked extremely well. With fourteen 1-inch-high paddles, the wide 30-inch Sand Drifter paddle did not pull the RZR XP 1000 motor down or heat the belt. It drives hard and climbs well. The new $146.99 30-inch STI Sand Drifter tire combo now comes in a 30×13-14 rear and a 30×11-14 front. Both the 29-pound, 14-paddle rear and the 23-pound three-rib front are over an inch taller and a full inch wider than the stock sizes. The tires have a lot of volume for great flotation on sand. The rear paddles are 1 inch tall, so the XP 1000 spins them easily, and they never pull down the motor. At the same time, the tires only have the dreaded paddle tire hop on pavement or packed dirt. They ride smoothly as soon as you hit the sand. The tri-rib front has all three half-inch-tall ribs on the outer half of the tire carcass. That leaves the other half of the tire smooth and rounded for flotation, but locates the ribs where they grab the sand. The $187.99 rear tires also have great volume for flotation, but the many paddles provide excellent drive and climbing without loading the belt or motor. With all of the paddles in a row, the rear will slide when you load it hard and get on the throttle. We’ve seen where paddles make a machine want to drive straight and push the front rather than turning, but that didn’t happen here. The front tri-rib design grabs the sand well. We saw many times where the front tires were throwing more sand than the rears! Whether we were playing follow the leader in tight, smooth sand or hammering chewed-up sand tracks at speed, the tires were a pleasure to drive with. 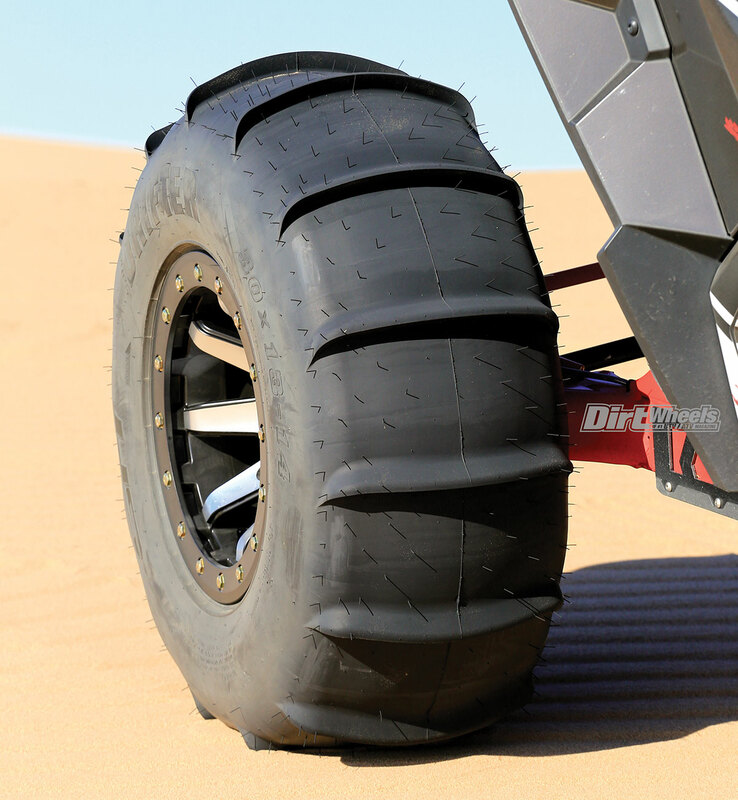 The STI Sand Drifter front tire offers good flotation on sand, and having all the ribs on one side of the tire lets it grab hard when turning. 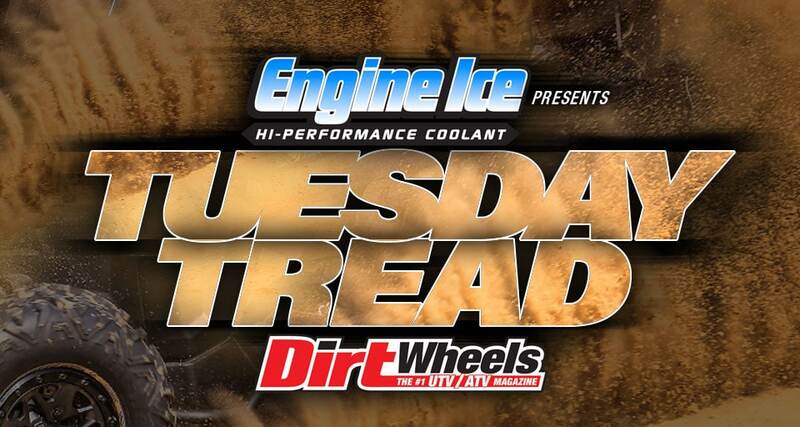 STI’s newest and claimed-to-be-strongest beadlock wheel line just got wider! STI now has HD9 Comp Lock beadlocks in 8-inch and 10-inch widths for sand dune enthusiasts. 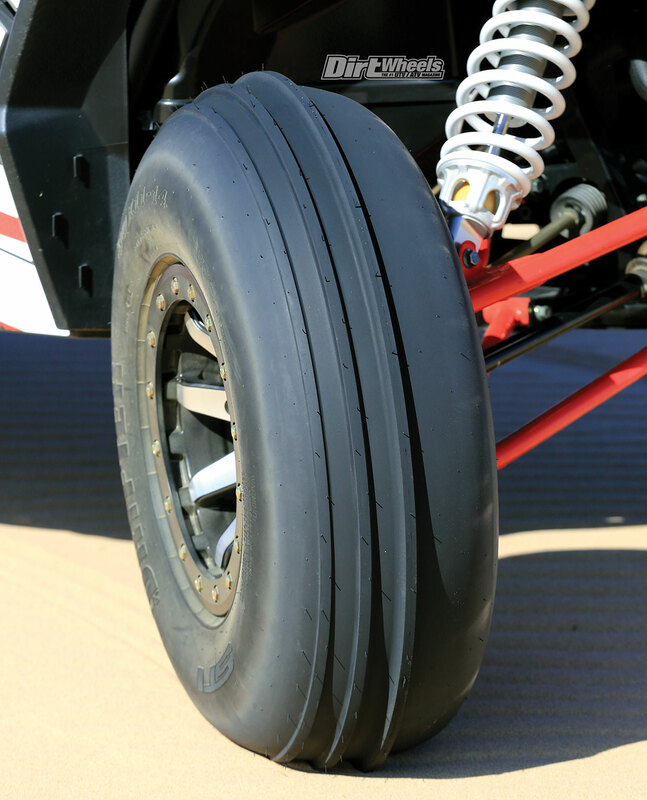 The deep-dish wheels support the wide sand tires for flotation, and at the same time they widen the track a minimum of 4 inches. Trust us, you feel that width on cambers and while cornering. The $167.25 rear and $155.49 front wheels come in either matter black or matte black with machined spoke faces. We ordered the machined faces, and the combo looked great on our XP 1000. All HD9 eight-spoke wheels have a 10mm-thick beadlock ring secured by 5/16-inch grade-eight hardware for strength. The beadlock ring keeps the tire bead mounted at low air pressure, and the tire doesn’t come off the rim if you do get a flat. Stock lug nuts fit in the wheel, but you can’t get a tool on them, so you will need to buy aftermarket lug nuts. We got nuts with a 17mm hex, and we got a deep socket on them with no problem. The STI HD9 Comp Lock Wide wheel is made specifically for dune use with wide tires like the new 13-inch-wide Sand Drifter paddle. 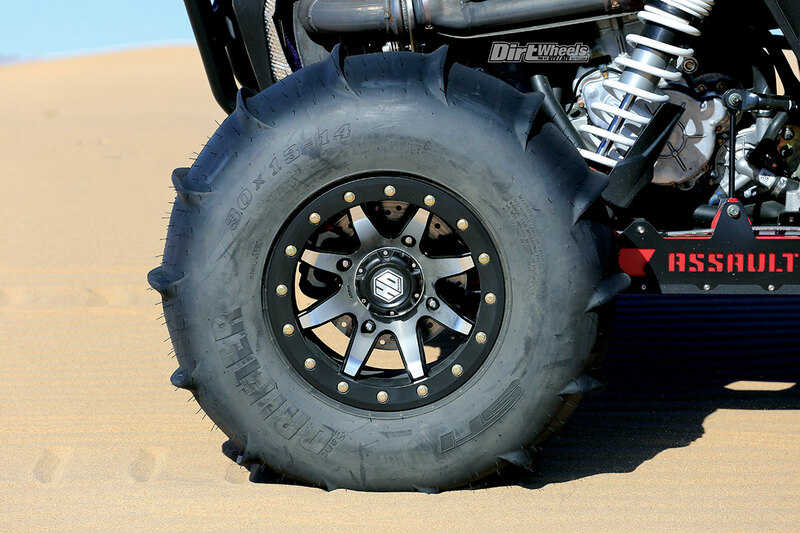 Both the STI Sand Drifter tires and the HD9 Comp Lock Wide wheels are made for a specific purpose—to make your UTV as fun as it can be in the sand. 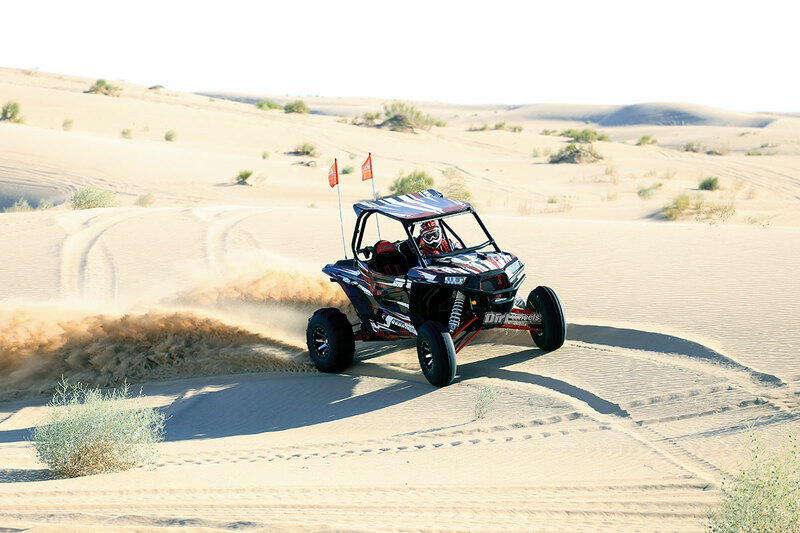 We drove the STI-equipped RZR XP 1000 at Glamis with the RZR XP Turbo, and with the XP on Sand Drifters and the Turbo with new stock tires, the pair were far better matched than they would have been if both were on stock tires. This combo looks great, works fine and provides a wider stance that makes the machine feel even better. Go to www.stipowersports.com to see the full line of STI tires and wheels.